We all have those glorious moments where you spent five minutes smashing your keyboard wondering why all of the sudden you seem to have become incapable of typing... until you realise that somewhere down the road, you managed to switch your Azerty keyboard to Qwerty or vice versa. 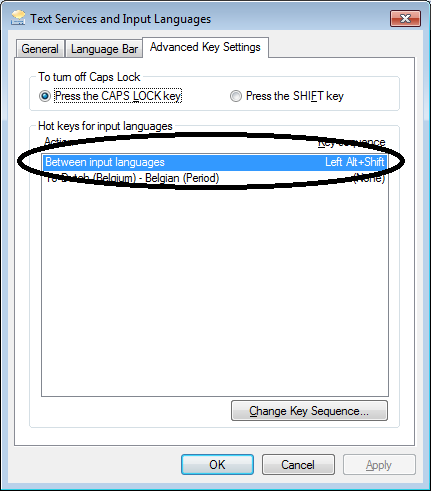 The key is that you can set a key sequence to switch between input languages. 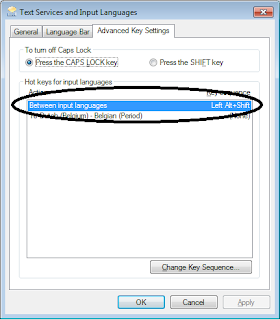 Read: switch between all installed input languages. By default this is set to one of the key sequences below, but this is a customizable setting so yours might be different. If a key sequence is set but that sequence doesn't seem to work, you should check how many input languages are installed. You can find these on the General tab.